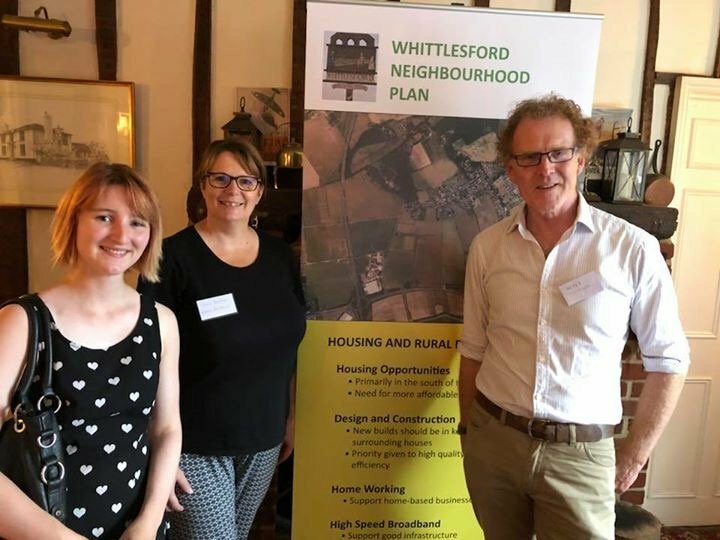 I’m working on Whittlesford’s Neighbourhood Plan but an issue came up at Foxton parish council last night - Foxton’s NP is making good progress, by the way - which really brought it home. A developer wants to build on a site in the middle of Foxton and came to the parish council to outline the proposals. Many of the questions and concerns raised afterwards by the parish council and residents were to do with whether the proposals met the identified housing needs of the village i.e. bungalows, designs, opportunities for people to downsize and yet stay in the community. These are very much the issues that Neighbourhood Plans seek to address, giving specific views and setting out specific policies that reflect the wishes of the community on the location and specifics of any new developments. I’ve been reading quite a few - Cottenham’s and Impington’s weighty tomes for example. Like Whittlesford’s draft NP, these issues feature in the plans. Developers - and the district council planners HAVE to take account the Neighbourhood Plan once it is approved by a local vote. Putting together these Plans is hard work and long hours but they are the means by which the community has a say on the the future developments in their middle. So I say I believe Neighbourhood Plans will do us good and let’s keep at it!